While referring to developments after the Pulwama terror attack, Adityanath had said during the Ghaziabad rally that while the Congress used to feed biryani to terrorists, Prime Minister Narendra Modi’s Army gives bullets and bombs to terrorists. “Congress ke log atankwadiyon ko biryani khilate thhay, aur Modiji ki Sena atankwadiyon ko goli aur gola deti hai. Yahi antar hai. Congress ke log Azhar Masood jaise atankwadiyon ke saath ‘ji’ laga karke atankwad ko protsahit karti hai. Aur Modiji ke netritva mein, aaj aatankwad ko, unke thikano ko nasht aur dhwast karke aatankwad ki hi nahi, Pakistan ki kamar todne ka kaam Bharatiya Janata Party ki sarkar kar rahi hai (Members of the Congress used to feed biryani to terrorists while Modiji’s army gives bullets and bombs to terrorists. This is the difference. People of Congress encouraged terrorism by using ‘ji’ to address terrorists such as Azhar Masood. 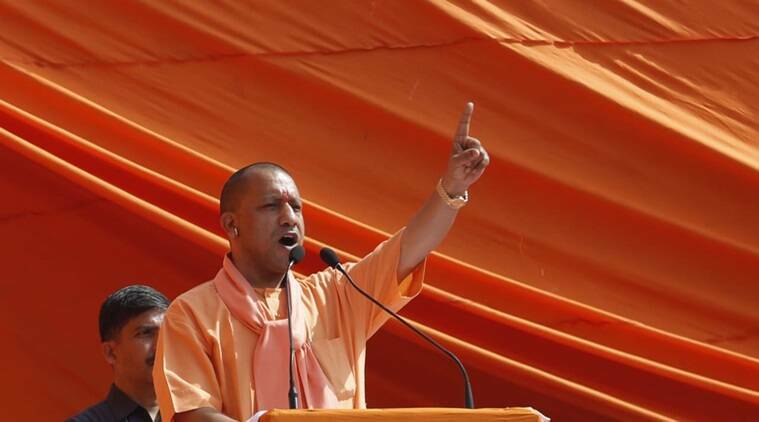 Under Modiji’s leadership, the BJP government is not only destroying the locations of terrorists but also breaking Pakistan’s back),” Adityanath said at the rally. The Commission, in its order, observed that the remark violated its instructions to political parties to not use activities of the armed forced for political gains. Calling him a senior leader, the EC asked him to be more careful in his political address in future. In the case of the NITI Aayog Vice Chairman, the EC came to the conclusion that his comments on NYAY violated the MCC norms which require all public servants to ensure the sanctity of the electoral process and not engage in any activity that disturbs or appears to disturb the level-playing field during elections. Rajiv Kumar had dismissed the Congress’s promise of a minimum income of Rs 6,000 per month to the poorest 20 per cent households, saying the party can “say and do anything to win elections”. As first reported by The Indian Express, the Commission, taking cognizance of his remarks, sought an explanation in the last week of March. In his response to the EC notice, Kumar said he spoke in his personal capacity as an economist and his comments should not be interpreted as the Aayog’s stand on the Congress announcement. He even cited the example of his predecessor Montek Singh Ahluwalia, who, as Deputy Chairman of the Planning Commission (later recast as NITI Aayog under the NDA-II government), had commented on the ‘Gujarat Model’ in April 2014 while the Model Code of Conduct was in force for Lok Sabha polls. The EC is learnt to have sought a factual report from the Maharashtra Chief Electoral Officer Friday one remarks made by Prime Minister Narendra Modi at a rally in Wardha on April 1. In his address, he had accused the Congress of coining the term “Hindu terror” and attempting to “taint the fundamental ethos” of the country. Referring to Congress president Rahul Gandhi’s decision to contest from Wayanad in Kerala, Modi said the party was running away from majority-dominated areas to take refuge in areas where the majority is in minority.